You can tell which parents are geeks by the shirts their kids wear. It’s been awesome seeing how WordPress has grown since I first started working with it about six years ago. Back then I really saw it as just a blogging platform. In the past three years it’s been awesome to see it turn into one of the most flexible and powerful CMSs on the market. Congrats & Happy 10th Anniversary WordPress! My daughter and I send you our love. 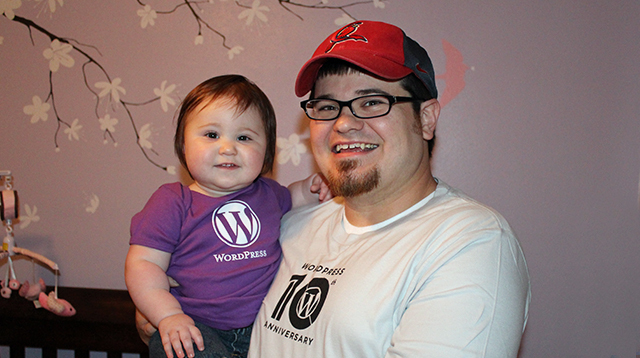 You can support WordPress by picking up one of their 10th Anniversary shirts.